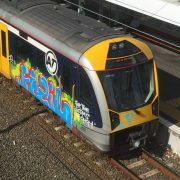 This one piece of graffiti on an Aukland, New Zeland transit train will cost tax payers $3000 to remove. It doesn’t matter that the graffiti supports the victims of a hate crime. It is still graffiti and still needs to be removed. 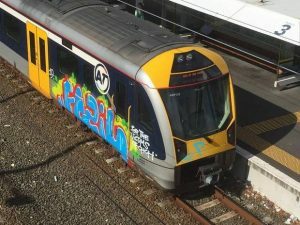 Who is removing the graffiti? Who is earning $3000? This type of graffiti could be on any train anywhere; even in your city. GGUSA has the capability to teach our franchisees and their technicians how to remove this quickly and completely with ZERO damage.